When I think of camera bags, I think of those ugly black fabric bags that tourists use. They prioritize function over fashion or style. 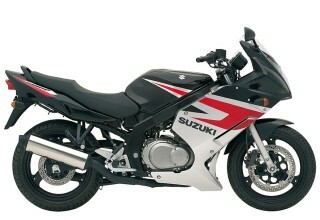 They don’t look all that great and I rarely bring one with me on my travels as most of them are not multi-functions. The Langly Alpha Pro is the complete opposite. 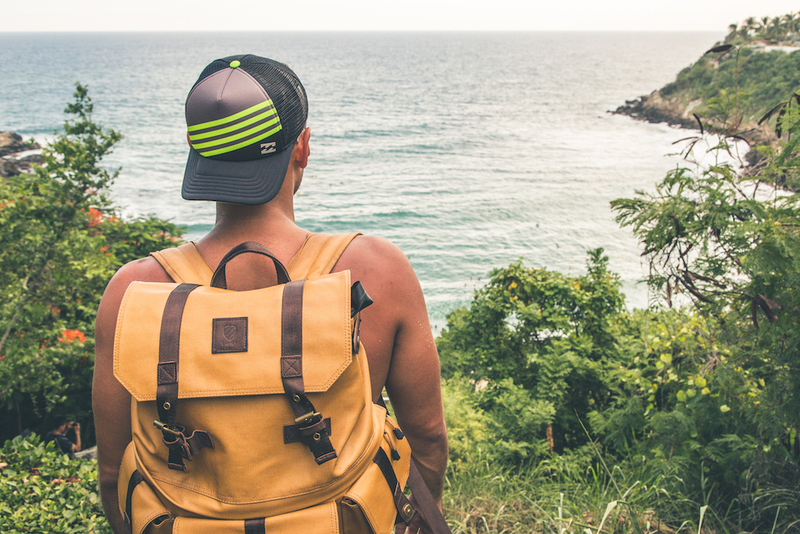 “World War II is an obsession of mine, and for some reason rucksacks are really hot right now,” says Langly creator and photographer Evan Lane. I’m also weirdly fascinated by World War II and the style of the bag is mindblowingly awesome. 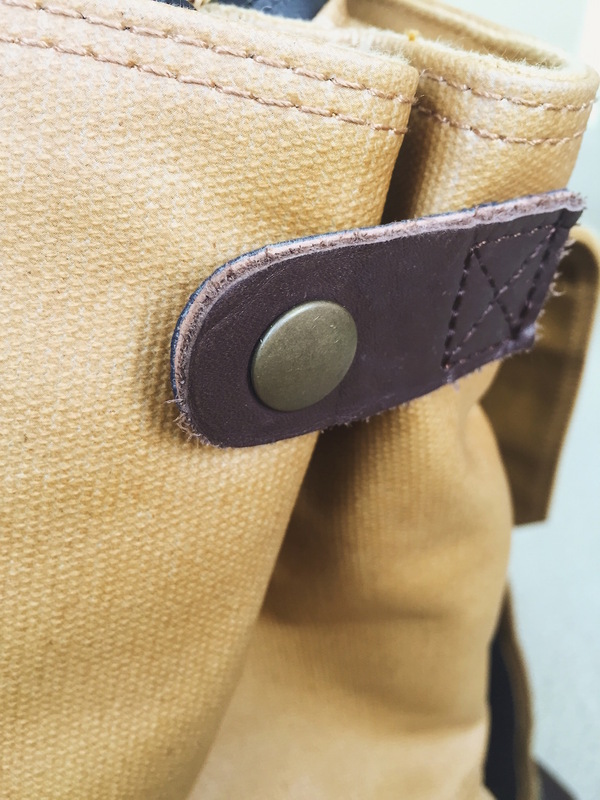 It truly feels like a vintage rucksack. Can you imagine how good this bag would look on someone cruising along on the best hoverboards in a populated area with nice architecture? I know I can. 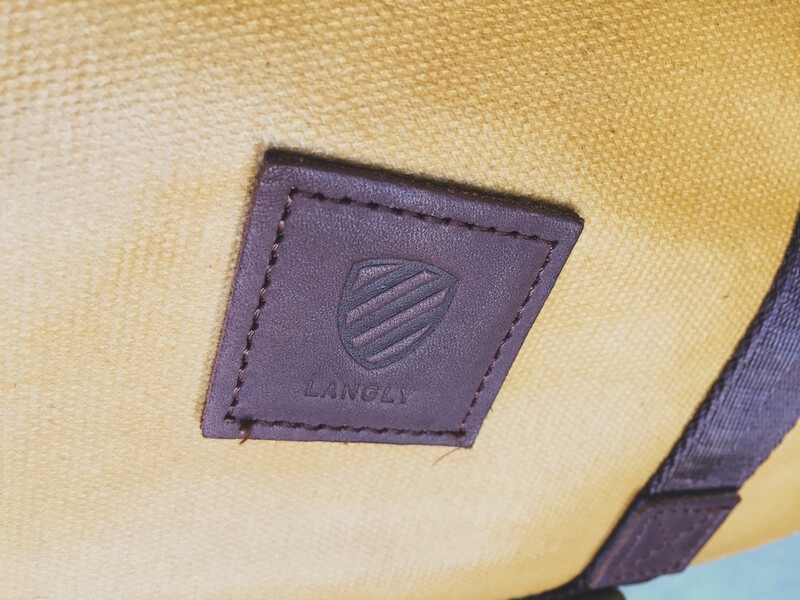 The Langly Alpha Pro camera bag is crafted out of waterproofed canvas with leather and brass detailing. It looks great, feels great and is something I’m actually excited to wear and carry my equipment in. They come in 3 beautiful colors that allow you to express your personality via the bag. Upon first glance, I loved the color and the overall design of the bag. The only thing I’m not quite fond of is that the buckles seem a bit flimsy. 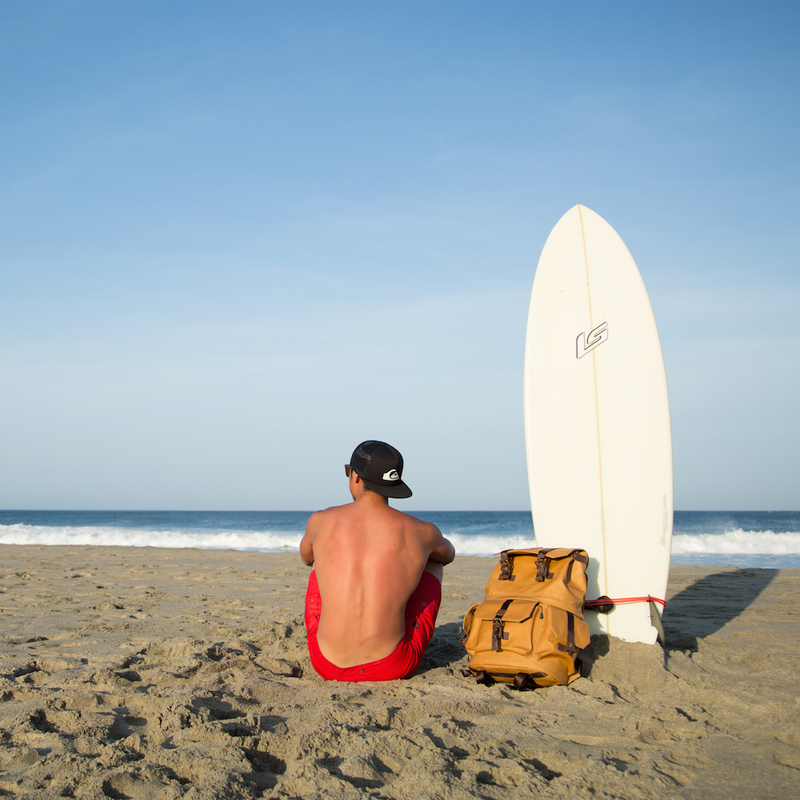 I took this bag with me to Puerto Escondido, Mexico and loved it. We are visual creatures and this bag is so beautifully made. I received many compliments on the bag on how great it looks. In terms of function, the Langly Alpha Pro hits all the right marks. 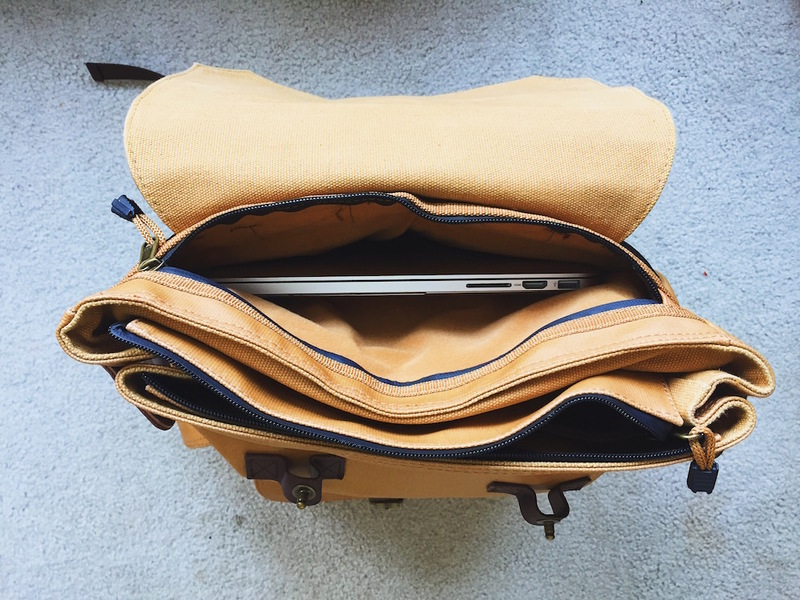 The back of the bag contains a padded section where you can easily store at 15″ laptop. I love that it feels secure, easy to put in and it feels well protected. 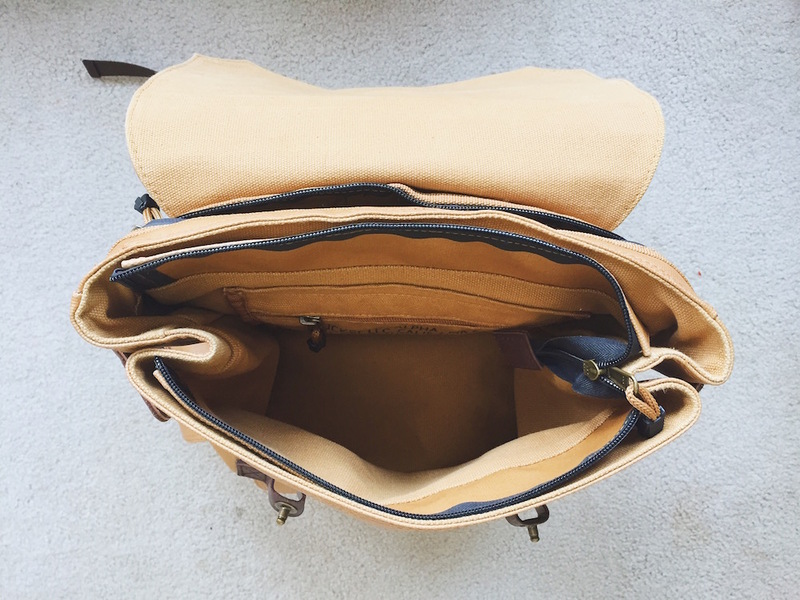 The top of the bag opens via a snap button and contains a zippered top compartment. Honestly the top zipper seemed a bit strange to me and perhaps not very well constructed; however the overall compartment is very nice and it also contains a small zippered pocket where you can store your passport some small items. Huge plus for me and a great overall compartment. I was able to fit my Canon dSLR, two lenses, a flash unit, and a GoPro camera in the bottom section of the bag and packed some clothes in the top. Weirdly, I was able to pack (although a bit tight) a week worth of gear in this one bag which says a lot. 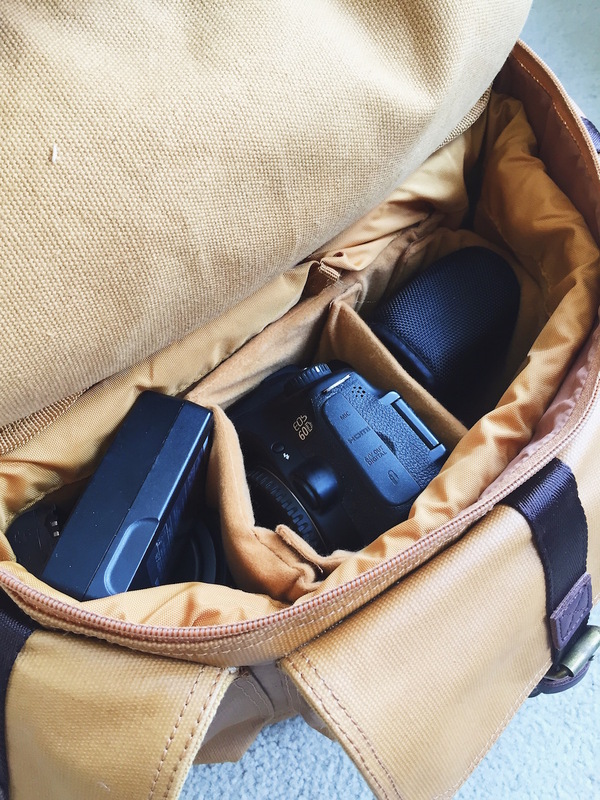 It’s a perfect camera bag for a weekend getaway. Despite the weather reports, it didn’t rain during the trip. 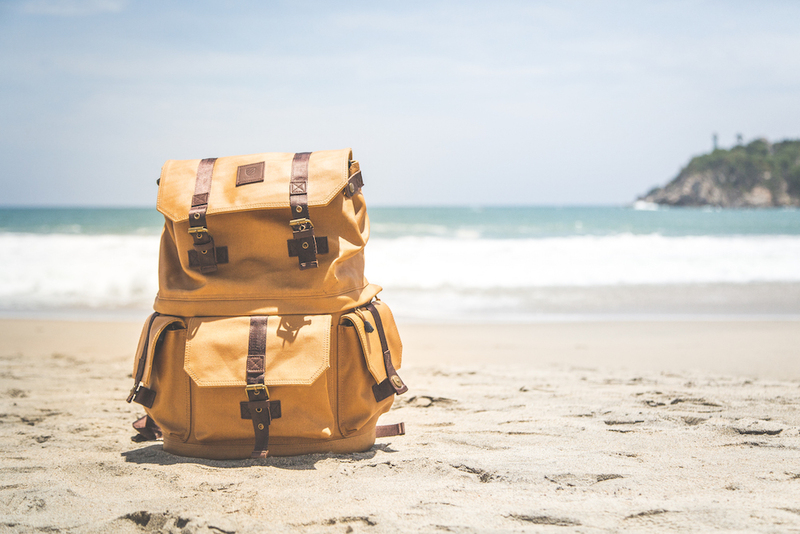 It wouldn’t have mattered since the outside of the bag is made from a waterproof canvas which protects your gear from the elements. 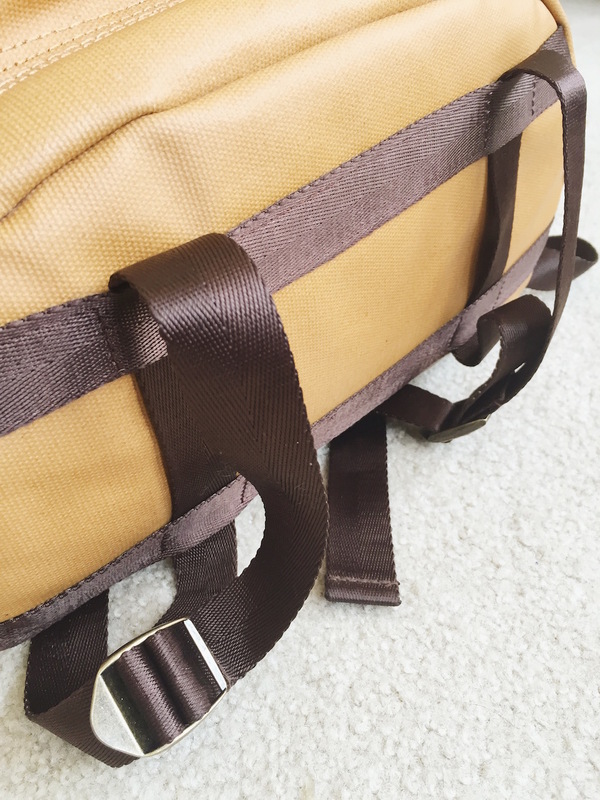 The outside of the bag contains 3 zippered pockets where you can store…well whatever you want. 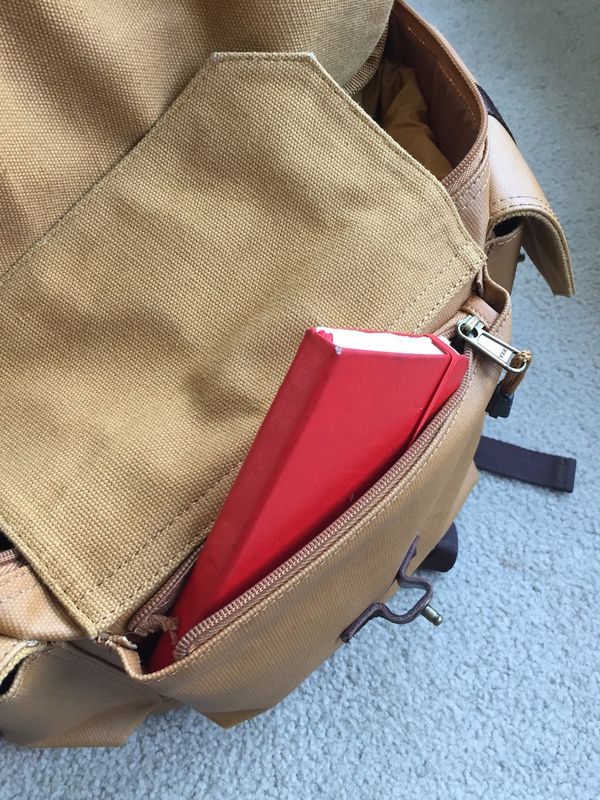 They are relatively a good size and you could store anything from a book or kindle to additional gear or travel items At times they felt a bit tight to carry larger items, but it perfectly held my other devices such as my iPhone, external hard-drive and more. 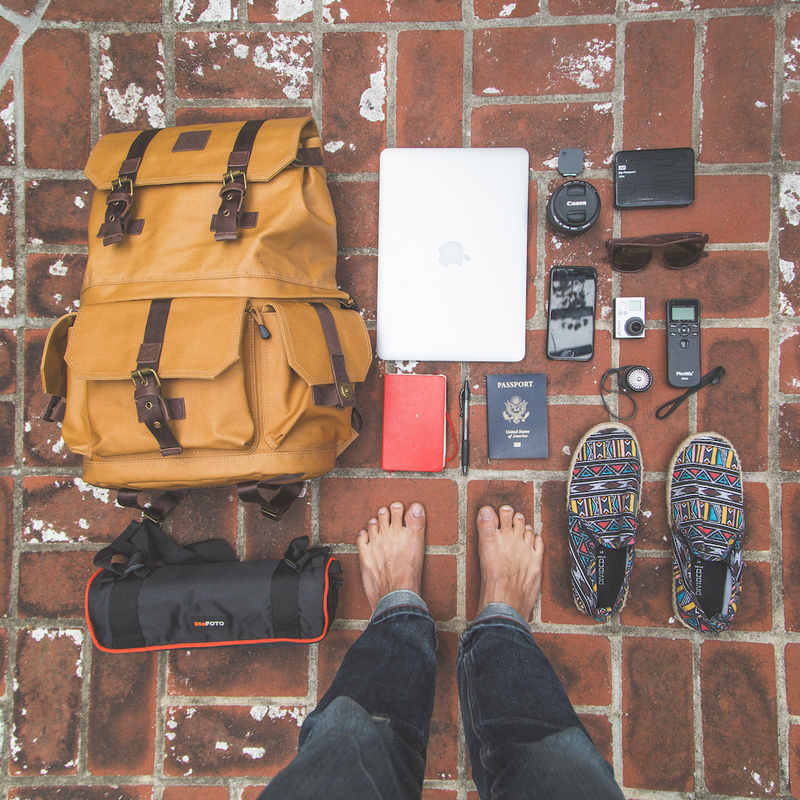 On the very bottom of the bag are two straps where you can tie a tent, a blanket, a tripod, or whatever you see fit. They held up very well and felt secure. It was a bit hard to adjust the straps, but I’d prefer them to be harder to adjust than something that will easily fall out of place. I used it to carry my tripod or on occasion a small blanket. 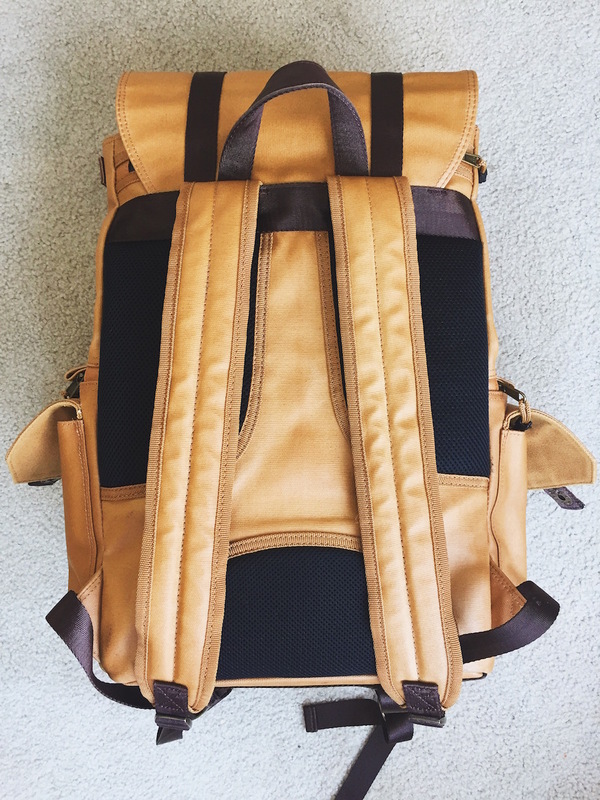 Overall, I’d highly recommend the Langly Alpha Pro on the premise that it’s one of (if not the most) elegant looking camera bags on market. It looks like a beautifully crafted rucksack that still provides the protection you’d expect in a high-end camera bag. The bag is available for $249 on Langly’s website. Hi Ryan, I own the same bag but in Olive. Many positives to the bag, for sure. After struggling with this ‘feature’ for 6 months, I finally wrote to them to ask for help or guidance and was told it’s my problem. Not a confidence-inspiring exchange, to be quite frank..
Hey Denis. Good question. If you’re talking about the 2 loops at the bottom of the bag, I agree that they are a bit stubborn to adjust. It feels like you have to pull them at the right angle to make them bigger. I guess one good thing about it is you know that they will stay in place pretty well! Great read! I found another article on Langly by The Rethinker website that was pretty good as well. Hope this helps someone with their search!